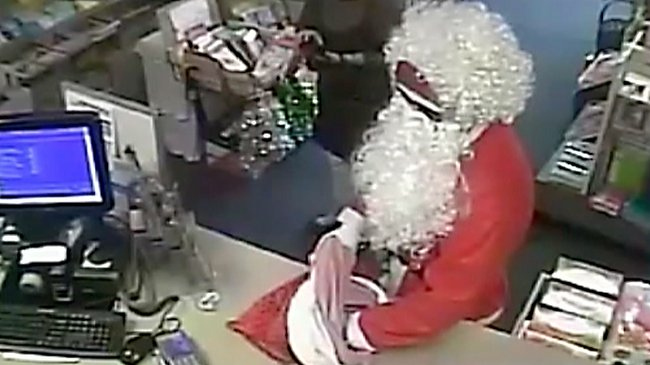 A Bad Santa robs post office in Melbourne's north. 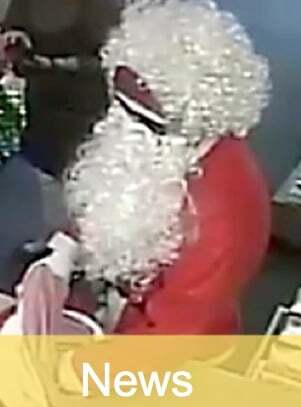 Melbourne's own Bad Santa robs post office. A man in a Santa Claus suit has robbed a post office in Melbourne’s north, escaping with cash in a red sack. The man entered the post office in Oak Park about 11:30am on Saturday and demanded money from a female staff member, police said. The woman gave the man cash and he put it in a red Santa sack. He left the shop and drove away in a cream-coloured Jeep with false number plates. Police said the man did not appear to have a weapon and no-one was hurt. This post originally appearred on the ABC and has been republished here with full permission. You can read the original here.